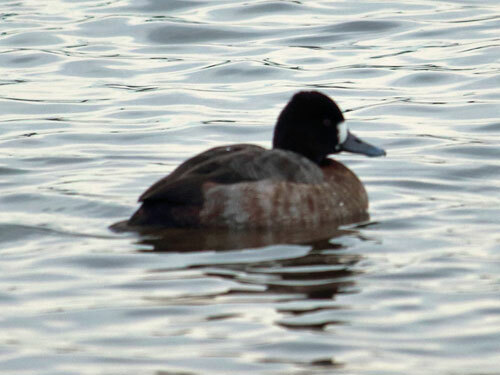 The lesser scaup is one of several diving ducks that winter in the Chesapeake Bay. 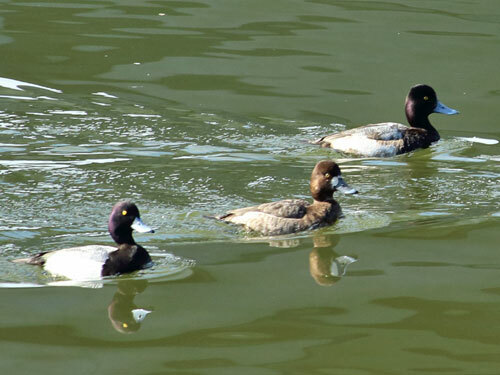 As its name implies, this species is slightly smaller in size than its close relative, the greater scaup. 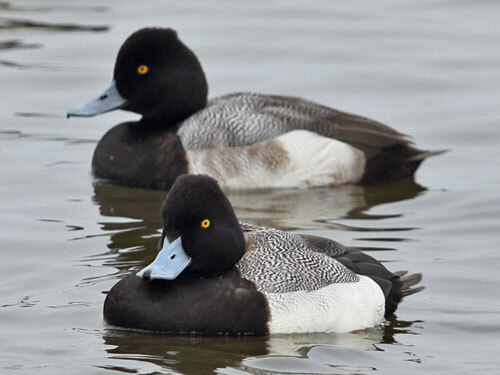 These distinctive birds are often found together with canvasbacks, redheads, and other diving ducks. Breeding phase (winter) drakes are recognized by their purplish-black heads, bluish-gray bills, yellow eyes, and tri-colored body plumage. Females are mottled brown with a white patch near their bill.